Fun-loving Patrick had it easy at his parent's seaside villa. At 16, he thought he had it made for life. That is, until the day raiders kidnapped him to nearby Ireland. Now a slave and shepherd, Patrick faced a bleak and uncertain future. To survive, he'd have to conquer cold, hunger, wild beasts, and even worse enemies. What's more, Patrick would have to conquer himself. So he turned to God. With new strength and inner freedom, he began an incredible saga of faith against which no enemy would ever prevail. 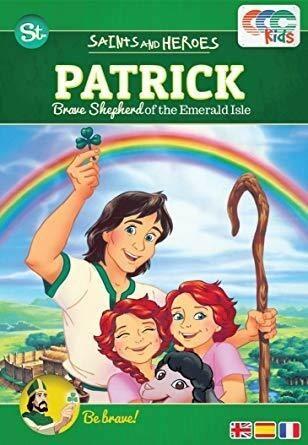 Blending historical facts with beloved traditions, PATRICK, BRAVE SHEPHERD OF THE EMERALD ISLE brings to life a long-lost world of Druids, warriors, and kings. One that brave Patrick, following the example of the Good Shepherd, illuminated forever.